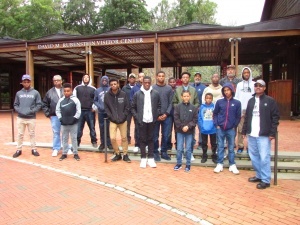 The Concerned Black Men of Richmond, Inc. kicked off our 2018 session of events with a trip to Monticello, the home of Thomas Jefferson. We viewed “The Sally Hemmings” exhibit which opened in 2017. It is the first road trip that we have undertaken in a few years and was a great success! We left Richmond in our van and 2 cars with 15 enthusiastic young men. 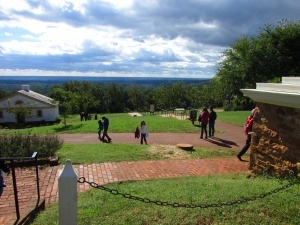 The staff at Monticello was very helpful and pleased that we chose them for one of our activities. The tour started with a bus ride the grounds at Monticello. 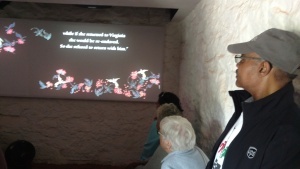 The Sally Hemmings exhibit was a combination of videos, artifacts and a tour of slave quarters. There was a promissory note for the purchase of a slave and many photos of the lineage of the Hemmings family line up to the present time. The tour guide was very knowledgeable and passionate about the information. She entertained questions and there were many from the audience; some were even from our youth. The tour bus driver showed us several points of interest on the way back to the entrance and we concluded with a visit to a slave burial ground near the exit. We left Monticello and had lunch at Pizza Hut near the University of Virginia in downtown Charlottesville. 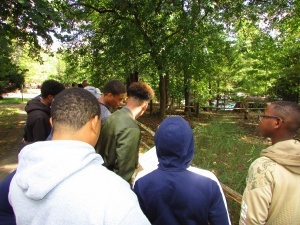 This was an outstanding, impactful event; and major achievement for CBM-RVA. 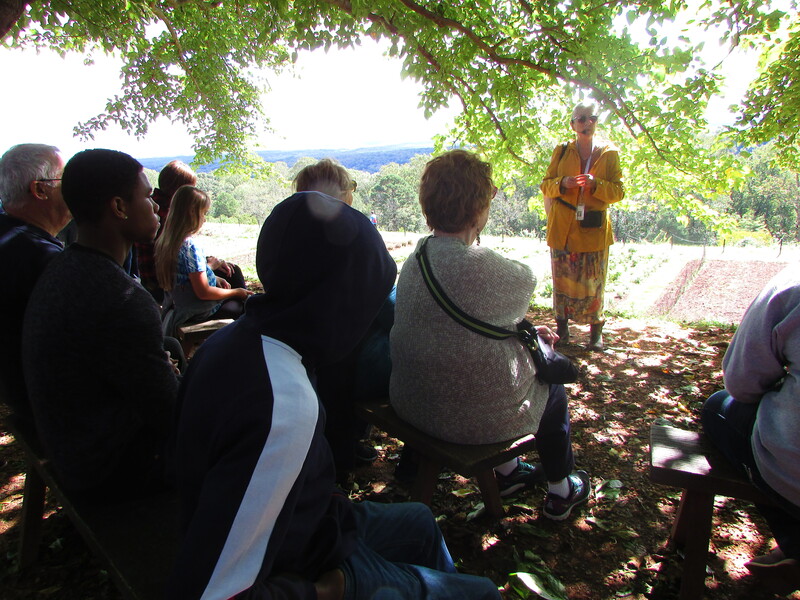 This event was made possible in part by the generosity of Dr. Harold and Mrs. Carol Jones. They graciously paid for the admissions of all the mentees! 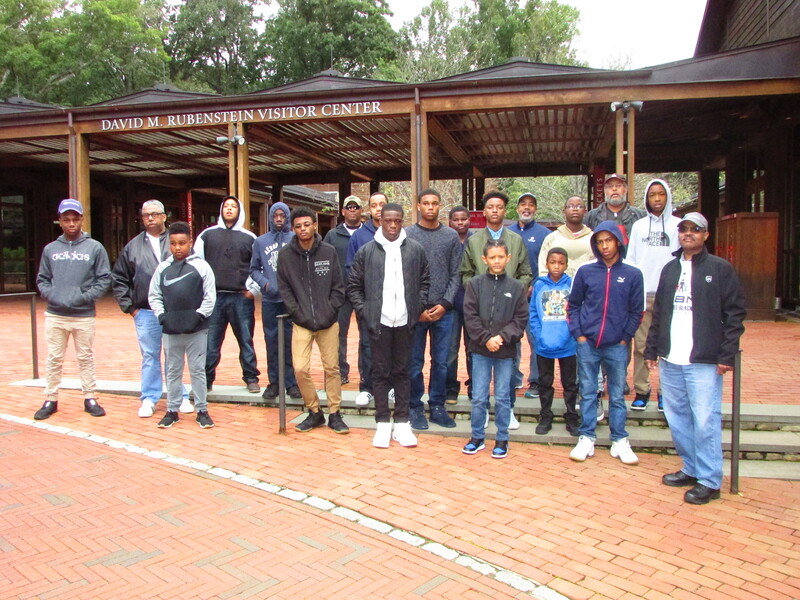 Thank you to each of you who have contributed to the Concerned Black Men of Richmond! You are truly making a difference in the lives of our youth and the community.